This empire teddy bear sterling baby cup is a beautiful childhood keepsake. 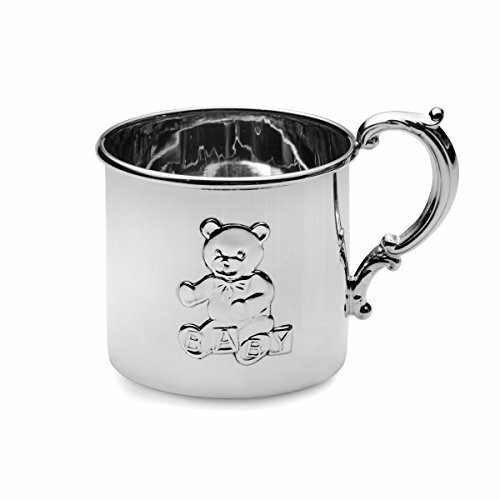 The luxurious sterling silver baby cup features a teddy bear design and can also be engraved. Comes in a gift box with a protective fabric pouch. Measures 2-1/4 inches high. Polish your silver once or twice a year, whether or not it has been used regularly. Hand-Wash and dry immediately with a chamois or soft cotton cloth to avoid spotting.